A dish from Fresca is beautifully displayed. Peruvian food is America’s new darling ethnic cuisine. I can’t say I’m surprised - it’s one of the most diverse in the world and offers not only native Peruvian flavors, but influences from the Spanish, Japanese, Africans, Cantonese and Northern Europeans. Combining traditional dishes with a modern twist, Fresca has been my go-to Peruvian restaurant for years. With multiple locations in San Francisco, the one in West Portal is my favorite, and easily worth the long wait to be seated. 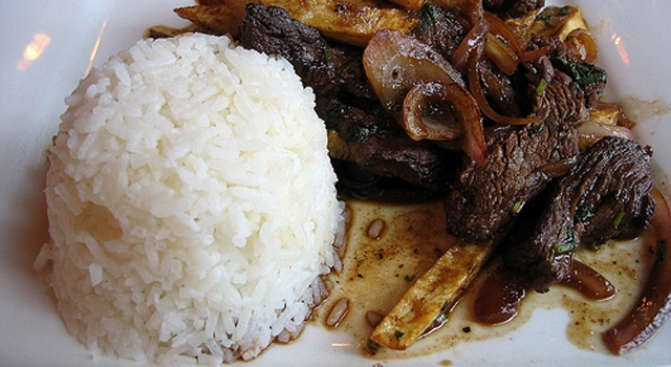 I’ve tried dishes from all over their menu, and while they’re all good, my favorite remains the lomo saltado. Made of sliced steak stir-fried with onion, tomato, soy sauce, vinegar, aji chili and served with French fries and rice, it is a classic amalgamation of Peru’s rich culinary heritage. It is the dish I recommend first to those trying Peruvian food for the first time and the one I can’t help myself from requesting over and over again. For the thirsty, Fresca has a good selection of drinks too. I usually alternate between a Cuzqueña or Inca Kola. Peru has long been at the top of my list of countries I want to visit. I’d love to try ceviche and anticuchos and picante de cuy in Lima. Until I do, I’ll be paying Fresca frequent visits to get my fix.